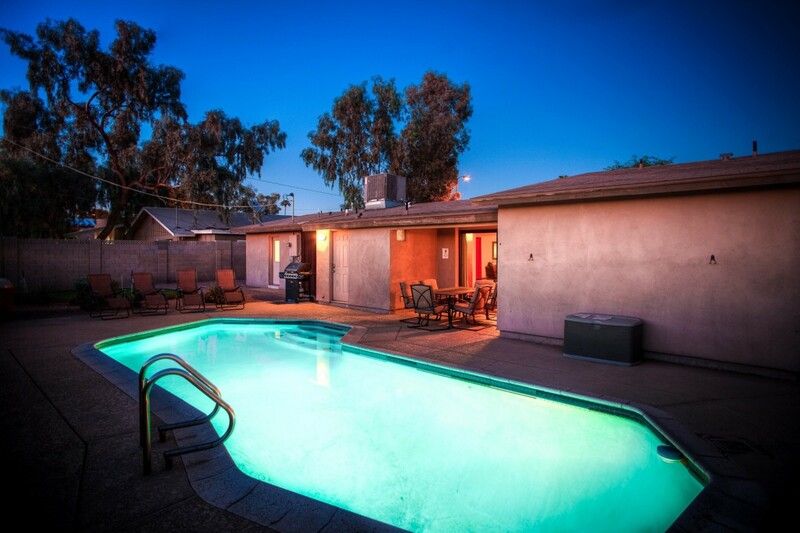 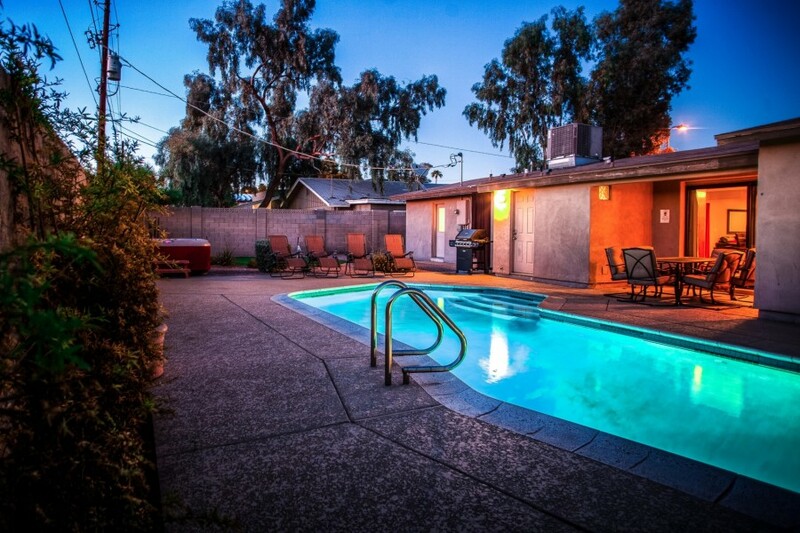 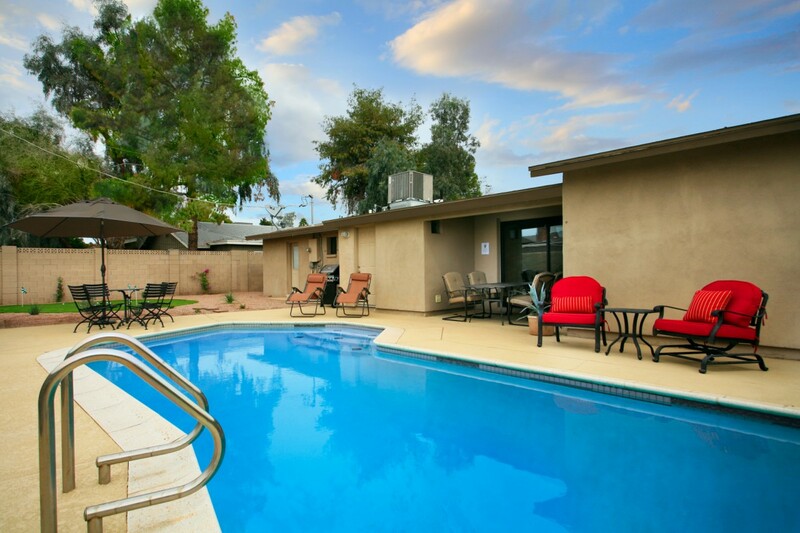 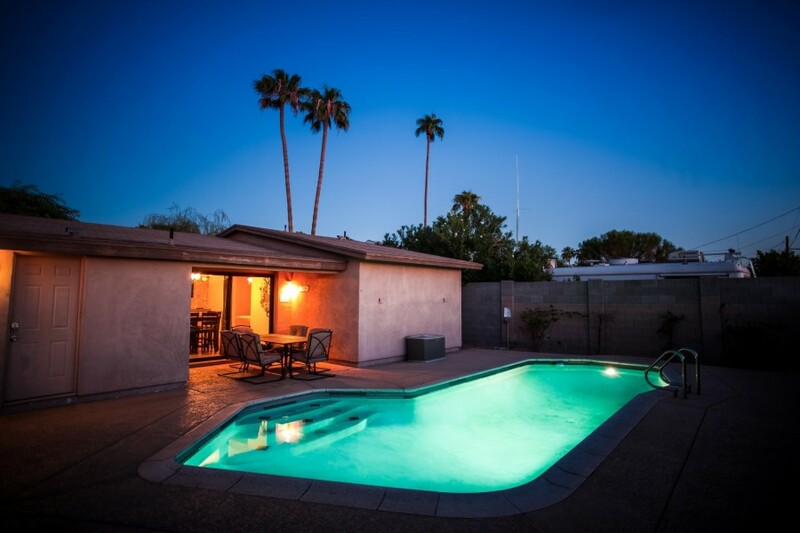 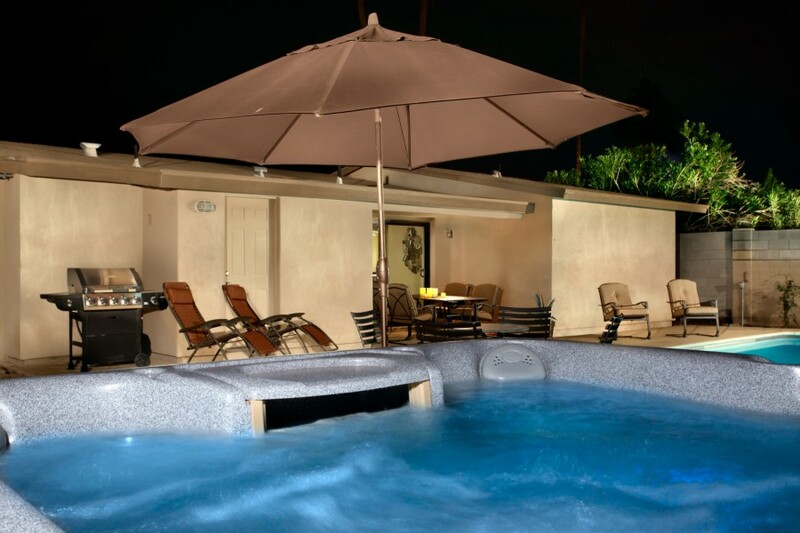 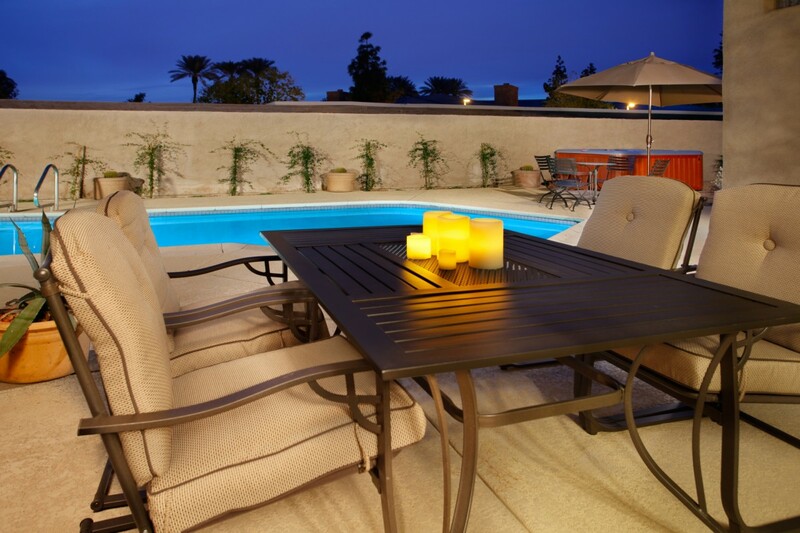 Our Central Scottsdale vacation home is only a mile away from all the attractions Old Town Scottsdale has to offer. 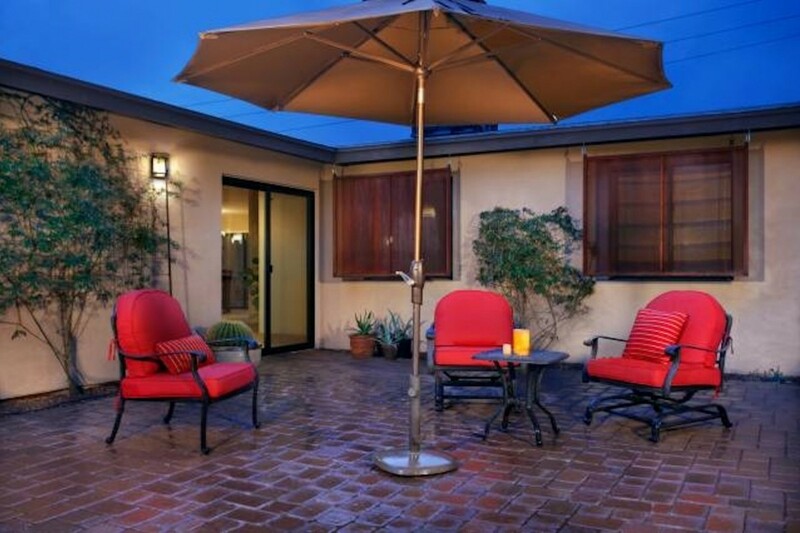 This four-bedroom home is a complete remodel. 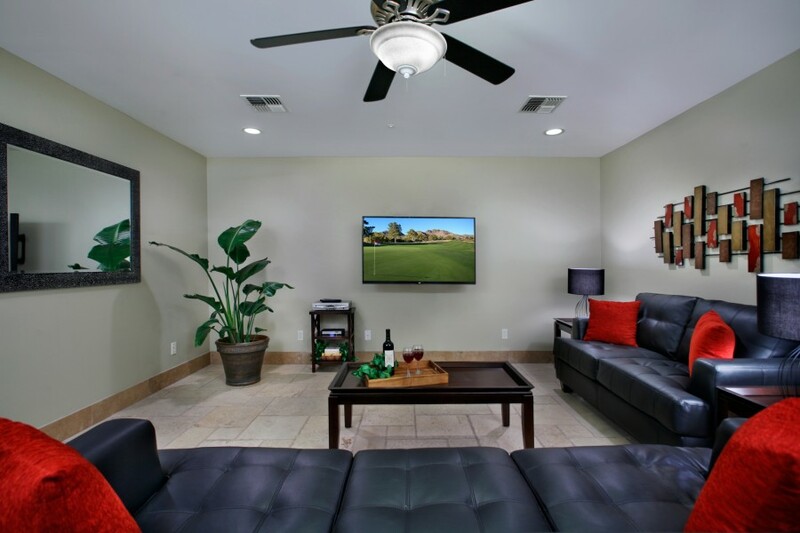 The newly installed putting green complements the private pool and spa, and you will be able to enjoy many days outside with its outdoor seating area and propane grill. Every bedroom has wall-mounted flatscreen TVs and floor-to-ceiling dressers with mirrors on the doors. 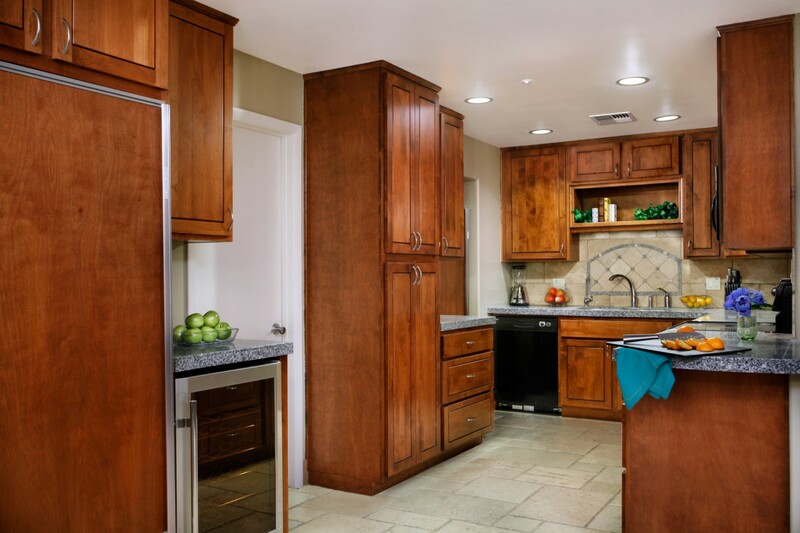 All of the kitchen appliances are new, and a bonus is the wine rack and cooler located next to a large Subzero floor-to-ceiling refrigerator. 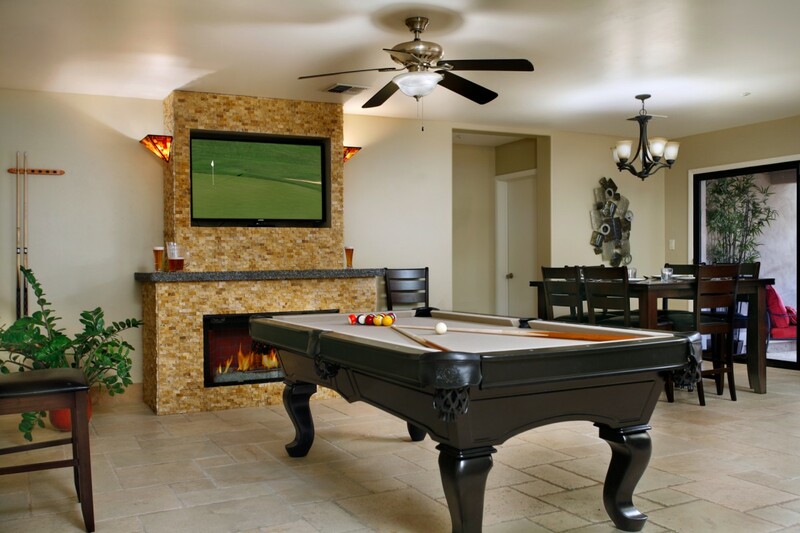 The quaint dining area comfortably fits eight, and you\'ll find a pool table, fireplace, and another TV just short of the living room. 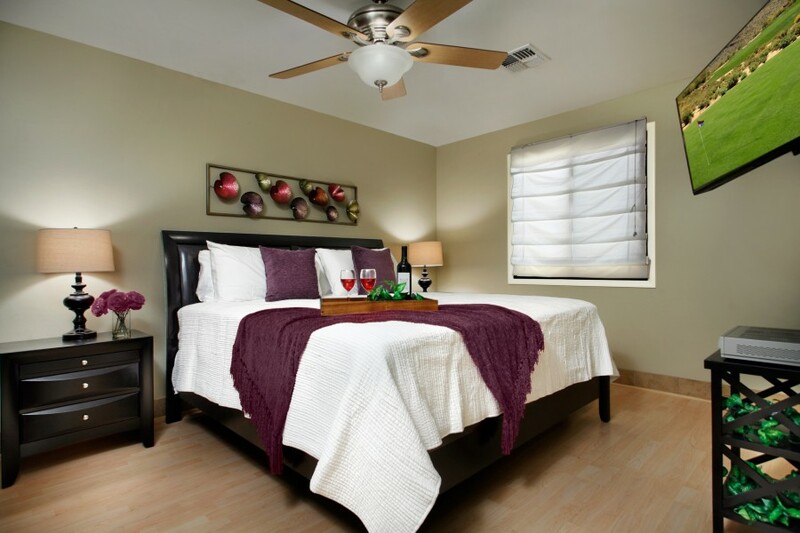 The heavy glass doors at the entry provide tons of light at any time of the day. 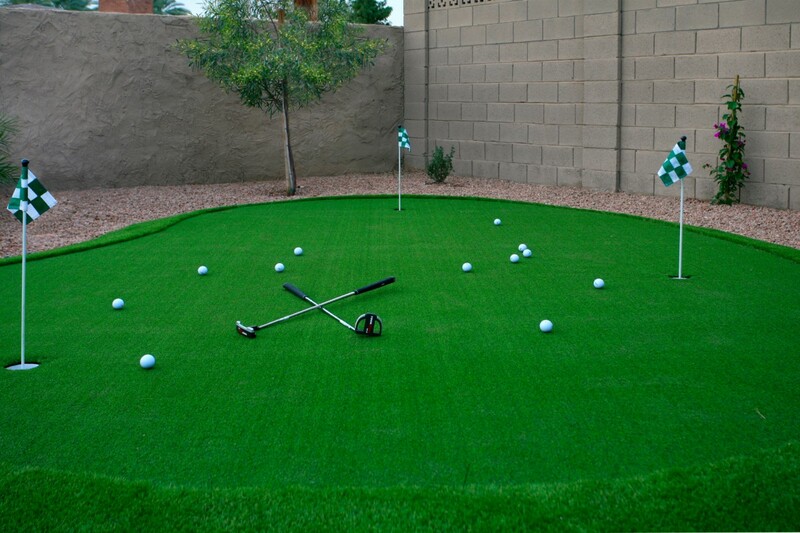 Don\'t be fooled by the one-car garage. 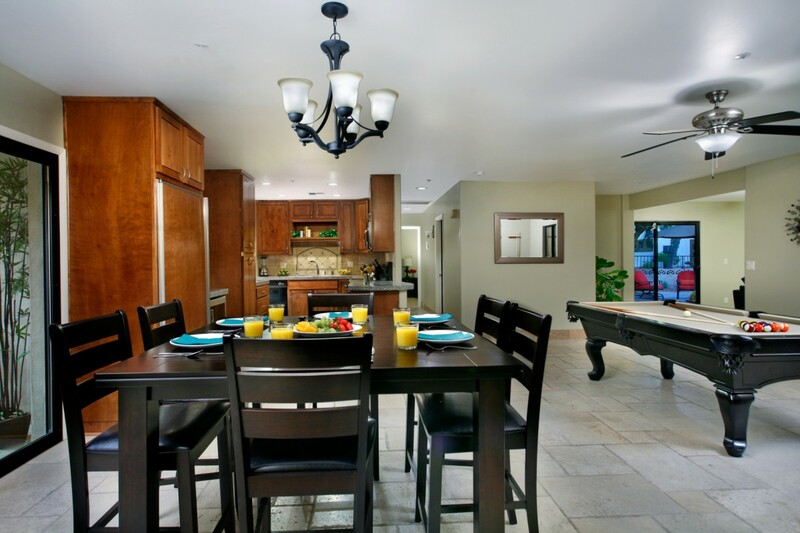 The wide long driveway can accommodate several vehicles without feeling cramped. 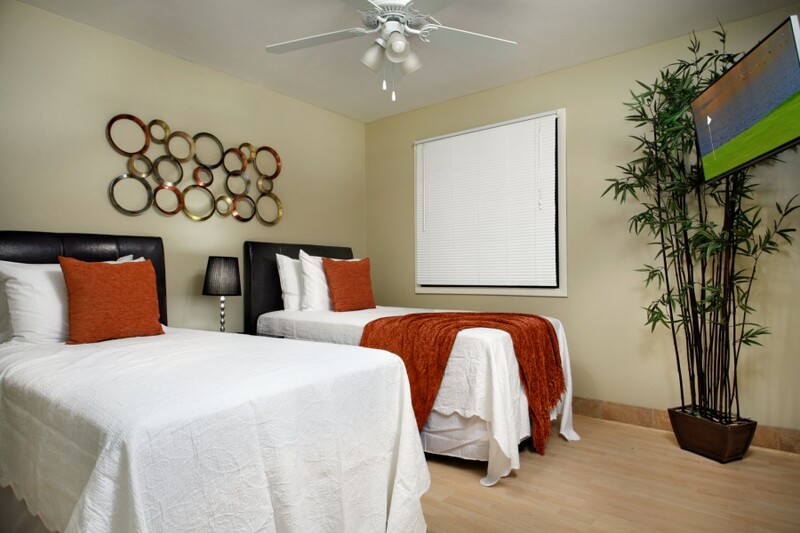 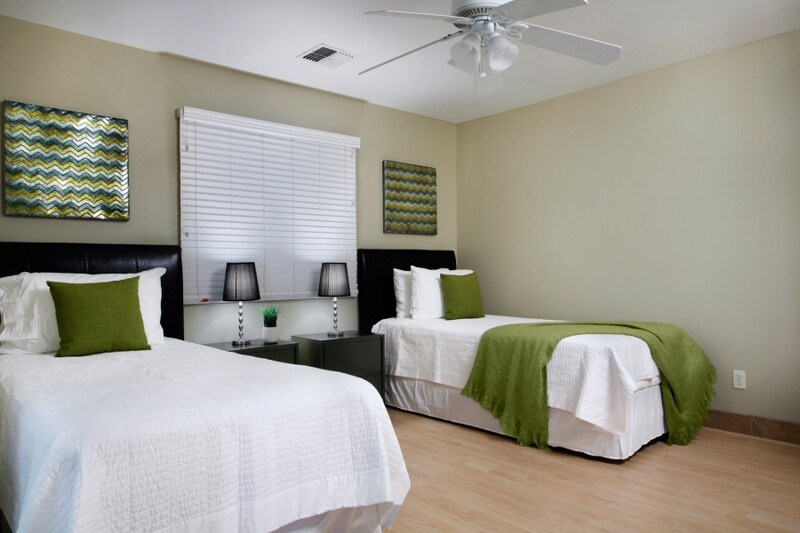 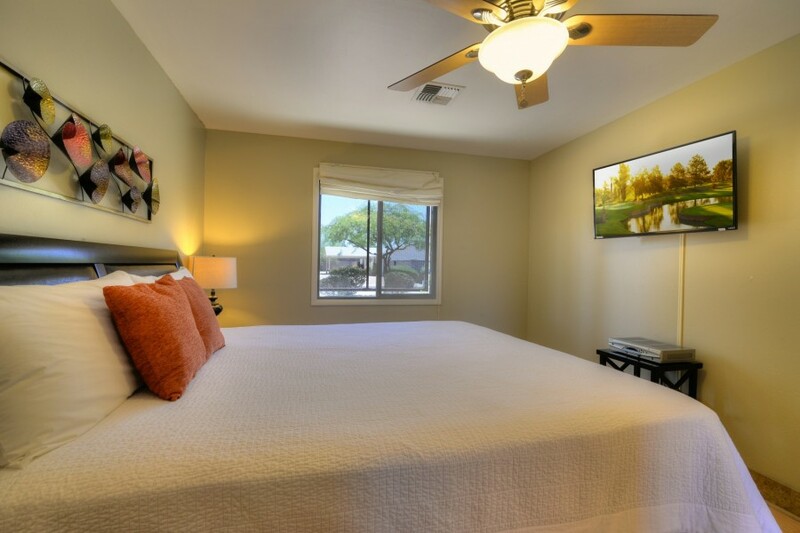 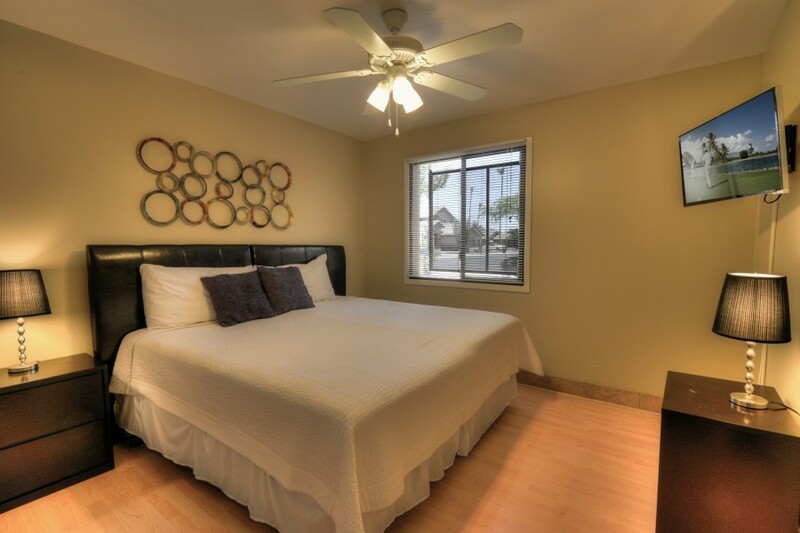 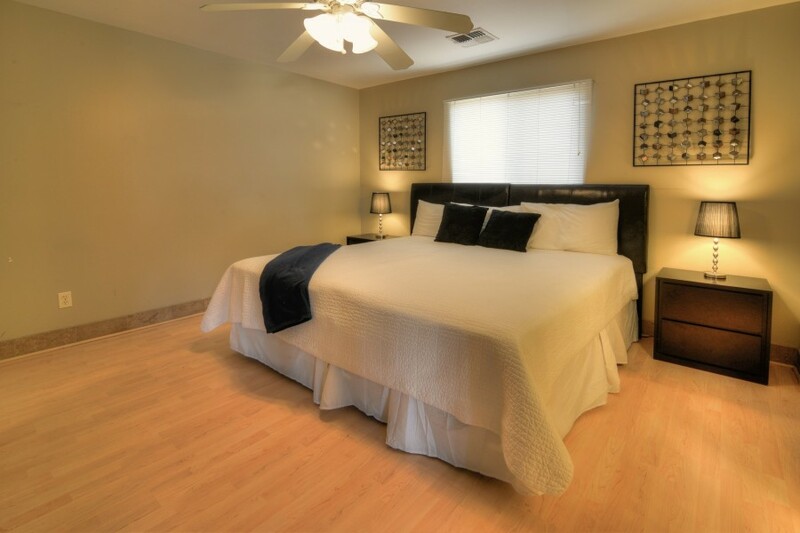 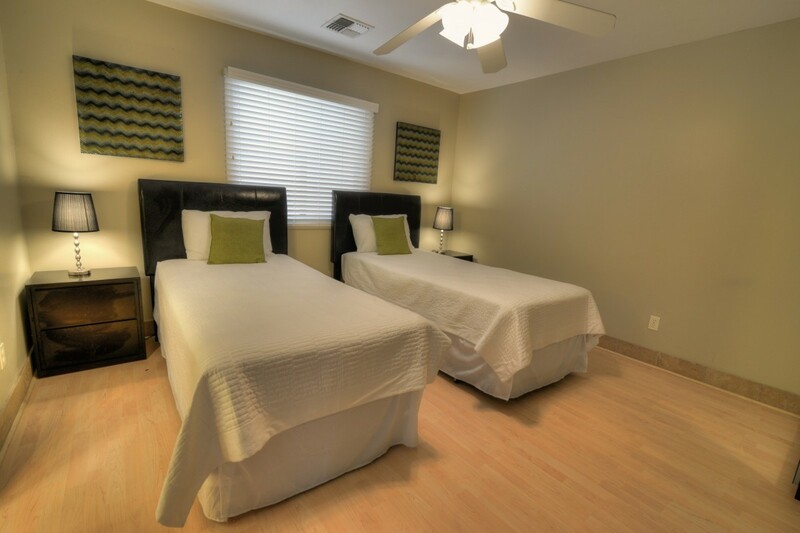 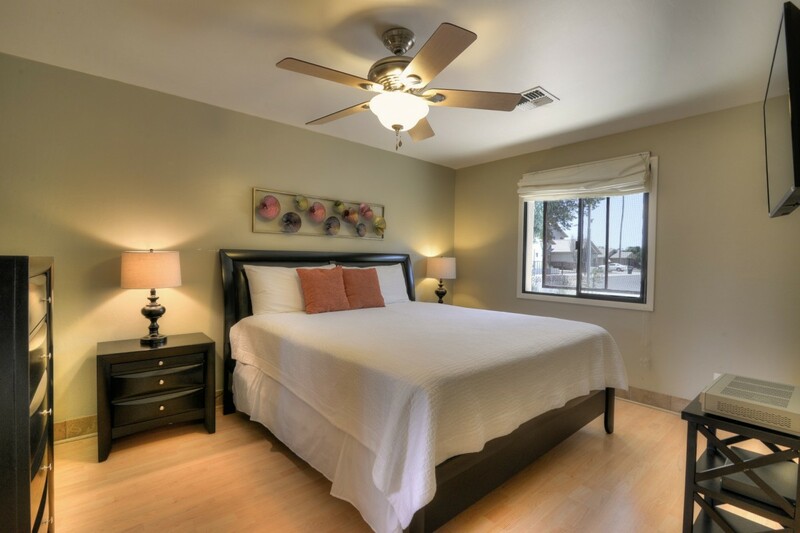 The master bedroom has a spacious walk-in closet and a king bed. 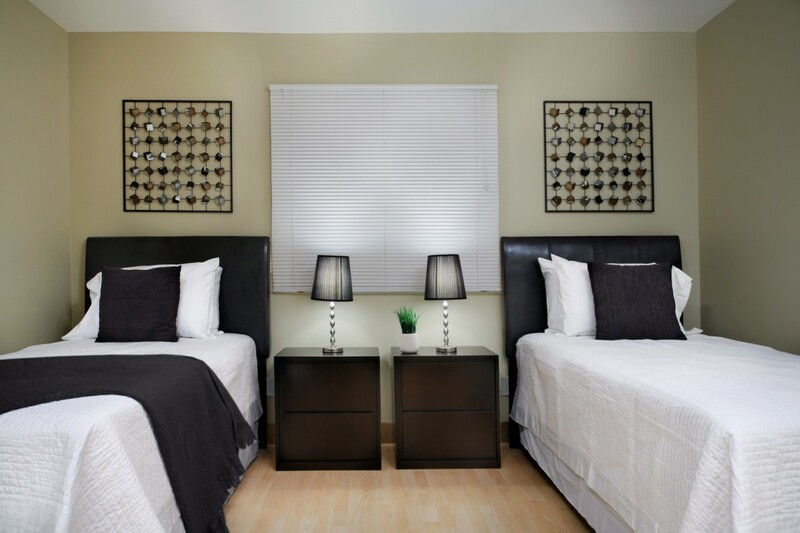 The other three bedrooms with twin beds can be converted to king with ease. 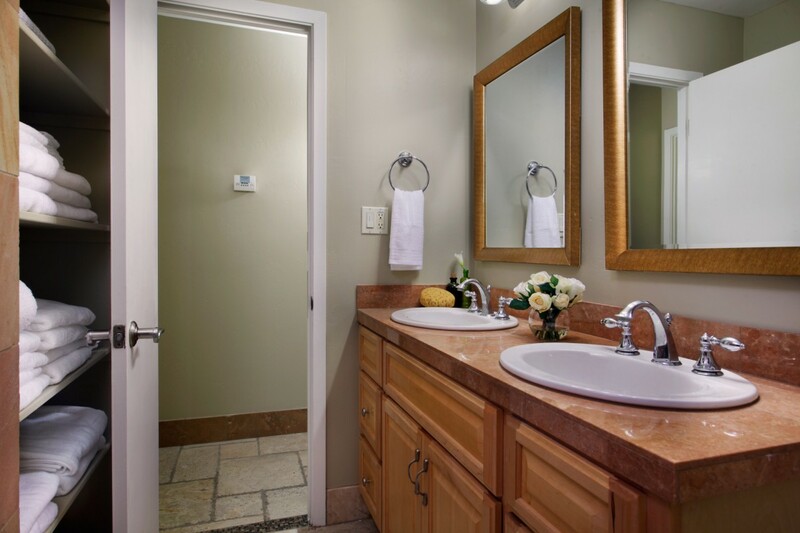 All of the bathrooms have been refurbished with granite countertops and new plumbing. 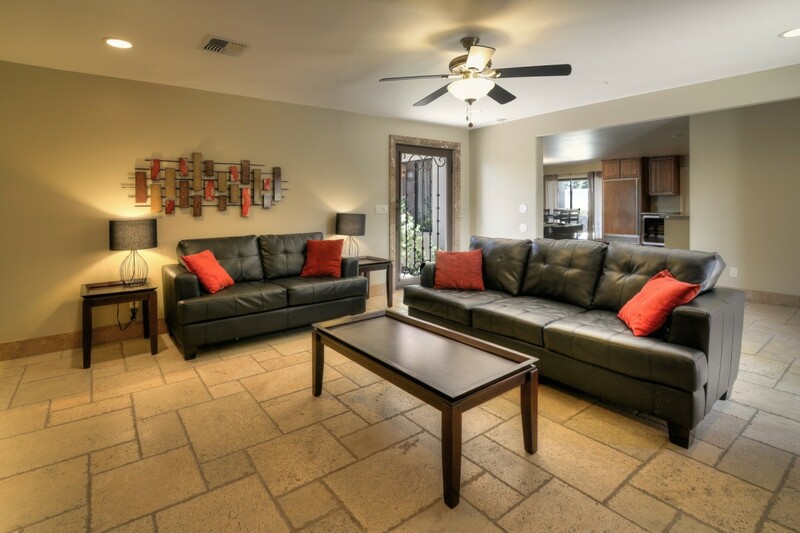 Our Central Scottsdale home also offers patterned travertine tiles, ceiling fans throughout, and wireless Internet access.